A home seller must consider the initial asking price of his or her residence closely. Because if a home seller sets an unrealistic initial asking price, he or she risks alienating potential buyers. Now, let&apos;s take a look at three tips to help you set a realistic initial asking price for your house. The local housing market may favor buyers or sellers. Fortunately, if you analyze the local housing sector, you can differentiate a buyer&apos;s market from a seller&apos;s market – or vice-versa – and price your house accordingly. In a buyer&apos;s market, there is an abundance of quality residences and a shortage of buyers. And if you&apos;re operating in a buyer&apos;s market, you may need to price your house aggressively to stir up interest in it. Comparatively, in a seller&apos;s market, there is a shortage of quality residences and an abundance of buyers. In a seller&apos;s market, you may be able to generate lots of interest in your house, even if you set an above-average price for it. Regardless of whether you&apos;re operating in a buyer&apos;s or seller&apos;s market, you should assess housing sector data. Find out how your residence stacks up against available houses in your city or town that are similar to your own. Then, you may be better equipped than ever before to set a competitive initial asking price for your home. By performing a home inspection, you can receive comprehensive insights into your house&apos;s condition. Following an inspection, you can prioritize home repairs. Plus, you can use an inspection report to help you determine how to price your residence. In addition, you can conduct a home appraisal prior to listing your residence. Thanks to an appraisal, you can receive a property valuation. And as a result, you can use this property valuation to price your house appropriately. A real estate agent understands the ins and outs of the housing market. 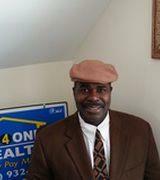 Thus, he or she can help you establish the right price for your house. Ultimately, a real estate agent is unafraid to be honest with a house seller. He or she will teach a seller about the housing market and provide unbiased recommendations about how to price a residence. Best of all, a real estate agent will promote a house to prospective buyers and ensure a seller can get the best price for his or her home. Let&apos;s not forget about the assistance that a real estate agent can provide during a negotiation, either. A real estate agent is happy to negotiate with a buyer on your behalf. As such, a real estate agent can help you optimize your house sale earnings. 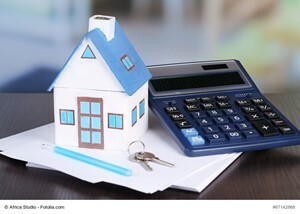 For a home seller who wants to determine the right price for his or her house, it helps to prepare as much as possible. If you take advantage of the aforementioned tips, you can establish a competitive initial asking price for your home and boost the likelihood of enjoying a fast, profitable house selling experience.